Join KBIA for a public taping of Intersection, July 24th at 7pm in the Mizzou student center. 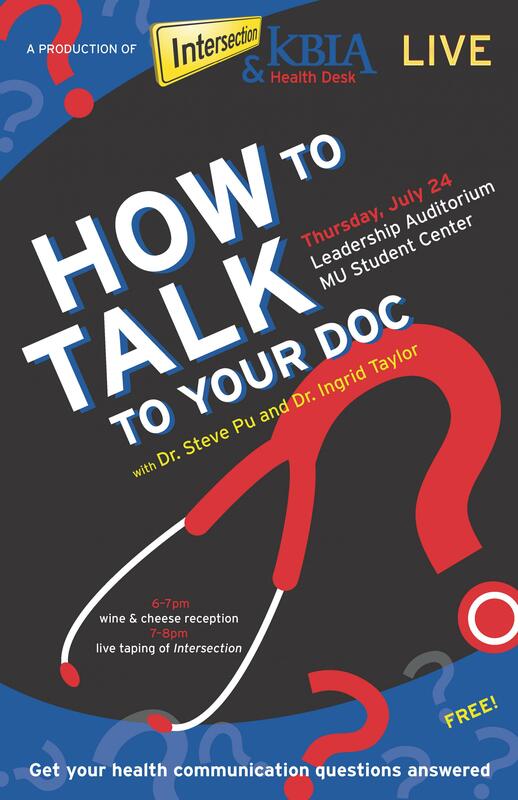 Get your questions answered, and arrive early for a free wine and cheese reception starting at 6 p.m.
RSVP below and join us Thursday, July 24th, from 7 to 8 p.m. in Leadership Auditorium at the Student Center on the MU campus. Hosted by the KBIA Health and Wealth Desk in partnership with Intersection.